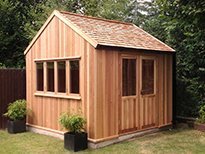 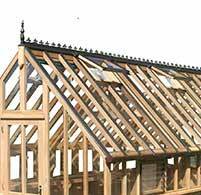 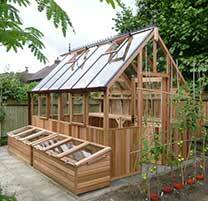 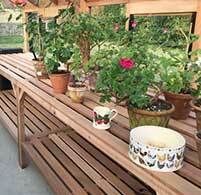 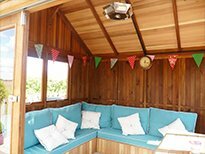 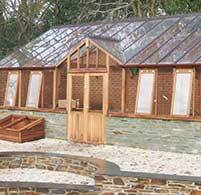 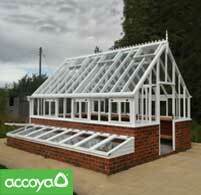 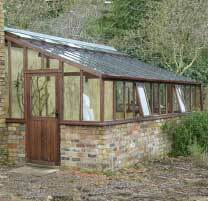 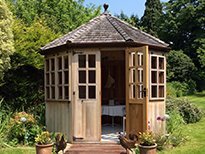 Octagonal Summerhouses fitted with shingled roof and opening casement windows. 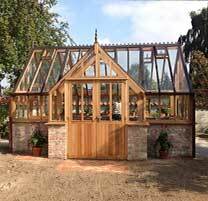 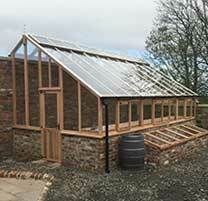 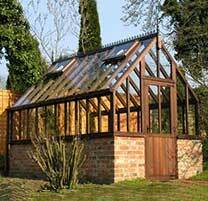 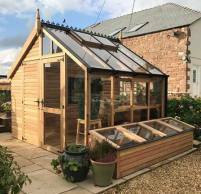 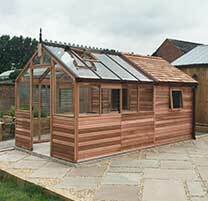 Tutbury Summerhouse fitted with Cedar Shingles. 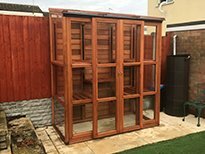 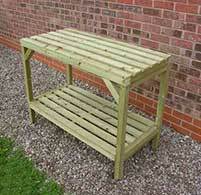 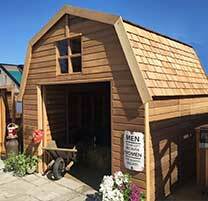 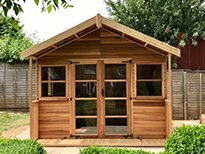 Uttoxeter Summerhouse fitted with Cedar Shingles. 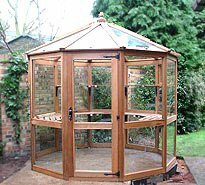 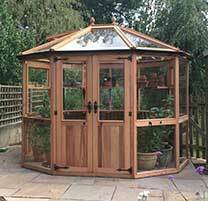 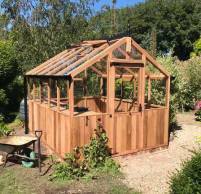 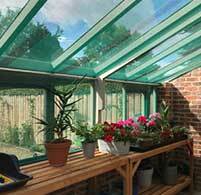 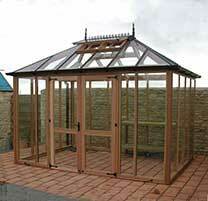 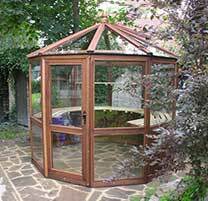 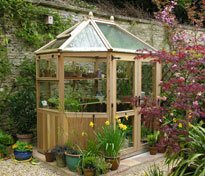 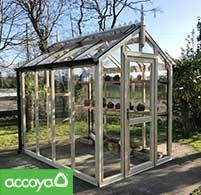 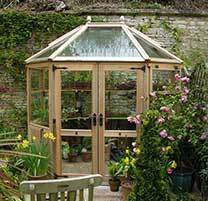 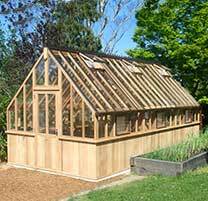 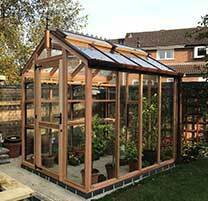 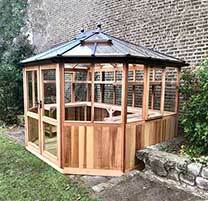 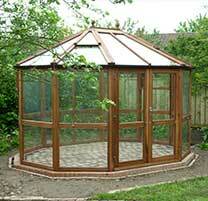 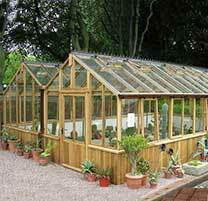 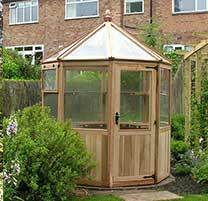 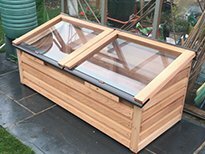 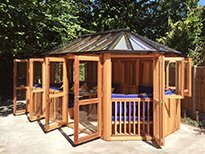 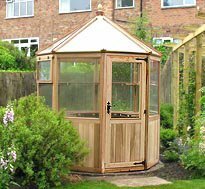 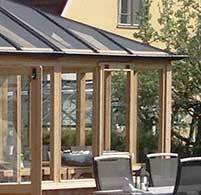 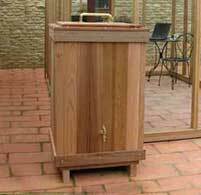 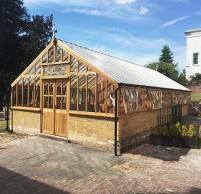 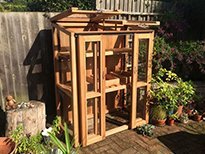 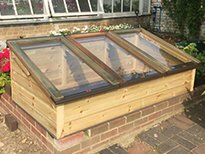 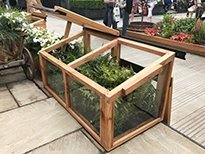 6ft6 x 8ft6 Tutbury cedar octagonal Summerhouse fitted with tinted glazed roof.